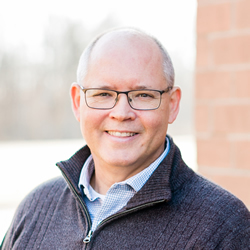 Todd Wilson is co-founder of Exponential, providing vision, strategy and direction for the ministry. Todd is a nuclear engineer by training who left a successful career in the marketplace for full-time vocational ministry. He is passionate about mobilizing people on their unique, God-given, personal calling. He is the author of several books including More: Find Your Personal Calling and Live Life to the Fullest Measure (published by Zondervan in April 2016). Todd is married to Anna and they have two sons, Ben and Chris, and a beautiful daughter-in-law, Mariah (married to Chris).